* Coromandel starts as a sweet and spicy patchouli with cherry and cinnamon in the mix. * Coromandel is either named for the Chinese lacquered screens used in dressing rooms or for the Indian Coromandel coast where Chinese and Indian people traded goods. * Patchouli stays as the focus as woods join in and it starts to get earthy. The emphasis though is on earthy, not dirty. This isn’t dirty hippie patchouli, but refined and elegant, earthy patchouli. * The base is pure oriental sweetness with luscious vanilla and amber surrounding the woods. Summary: Coromandel is a decadent yet comforting scent that lasts for hours, if not days. The sweet base will last until you shower (and scrub) it off, not that you will want to. Although its an eau de toilette, it wears more like an eau de parfum. As part of the Les Exclusifs collect, it’s only available at Chanel boutiques and very select department store. In its 200 ML size, it makes a great size for splitting (the magnetic cap is quite nice too). Applied lightly, it would be safe for the office with moderate silage. But more than 1-2 sprays and it broadcasts. 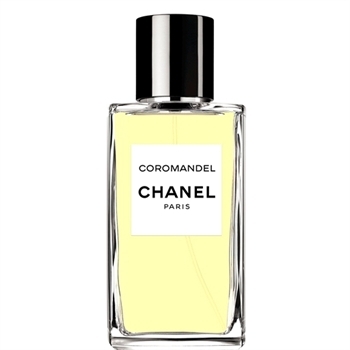 Although I am a fan of the classic Chanel masculines (Egoiste, Pour Monsieur), Coromandel is the only one of the Les Exclusifs that I fell in love with. It smells great on both men and women – I often get compliments when I wear it. Coromandel is available from Chanel boutiques, Chanel website and very select department stores. Love this one. My understanding is that it is named after the Coromandel screens, which Coco Chanel collected. The screens, in turn, were named after the region where they were produced (and where they picked up part of their distinctive odor). Don’t you think this is one of the rare orientals that work as well in summer as it does in winter? I love this particular perfume. It is one of my favourites. The bottle I have is almost finished and it costs $350 in Australia to purchase a bottle. I must say, people have stopped my in the street to ask what I am wearing, in particular more men than women. It is divine and wears comfortably in summer as it does in winter. I am all for lovely perfumes that broadcast though, so I usually spray it a couple or more times. I agree with you completely – and although its a strong patch, it is definitely wearable in summer as well as winter. I don’t know if it is sold in Australia – but if you ever see an indie line called Slumberhouse, they are worth experimenting with. Strong, intense and a bit odd sometimes – they have character and personality – two things which it sounds like you possess as well. Fragrantica gives the lacquered screen option as meaning of the perfume name. And after trying it, it makes sense to me, as it feels like a protecting, sheltering fragrance. I totally agree when you say it’s shareable.